As many of you know, we subscribe to Birchbox, and although every month is not the best, the bonus points you get from reviewing products (which takes about 5 minutes total) means you get a full sized $10 item each month. For only $10 a month, it means you are paying about $5 a month after points, which is DEFINITELY worth it!!! I save up my points and mix it with the mystery bonus item AND always use a code to get 1 additional item. We will talk more about that when my box of points items arrives! But this month, it is all about November, and I AM enjoying my box-- as it seemed VERY seasonally appropriate. Total value of my Birchbox this November: $29.57!!!! Even if you do not give value to their points system-- that is a tremendous value for a $10 box! The links provided above may contain affiliate or referral links. 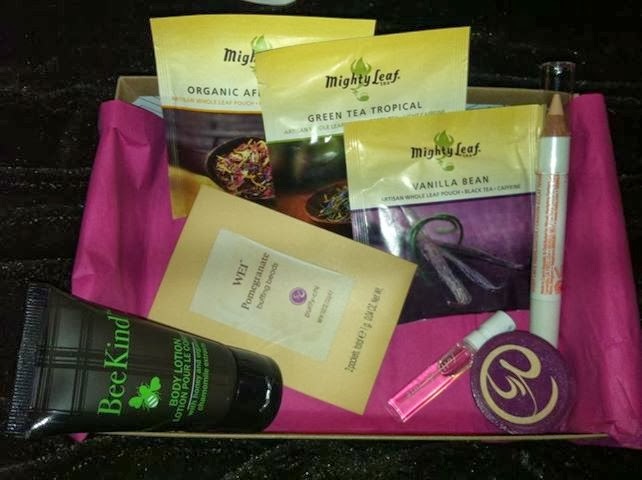 However, we purchase our Birchbox, and continue to review it to share it with our readers!